All are welcome to come adore our Lord in the Blessed Sacrament any day of the week! Our adoration chapel is located on the main floor next to the doors of the main chapel and is always open! Students will need Buzzcard access before 8 am and after 10 pm. Click here to request Buzzcard access. 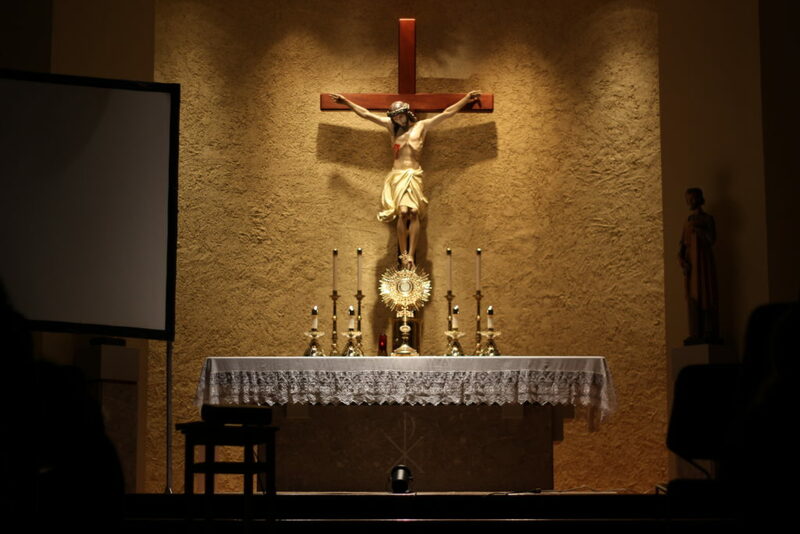 For more information or to sign up for a Holy Hour, please contact Kate Schaffer at adoration@gtcatholic.org.